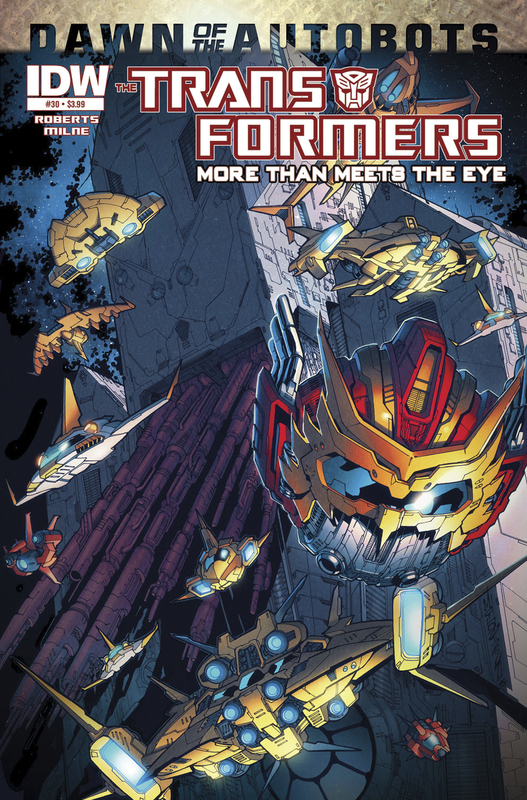 Solicitations for IDW’s June Transformers releases have hit Previews’ website. Check out the descriptions of their solicits below (be forewarned, spoilers lie ahead)! 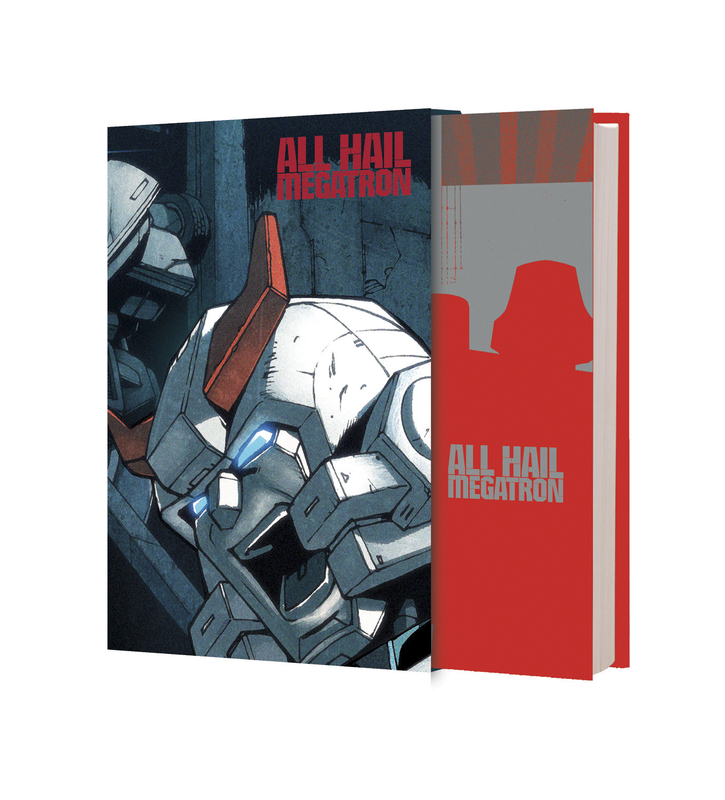 This limited-edition hardcover of Transformers: All Hail Megatron is signed by Shane McCarthy and Trevor Hutchison and hand-numbered to 350. This collection of the complete series has been packaged and presented in beautiful hand-assembled casing and silver metallic covers. 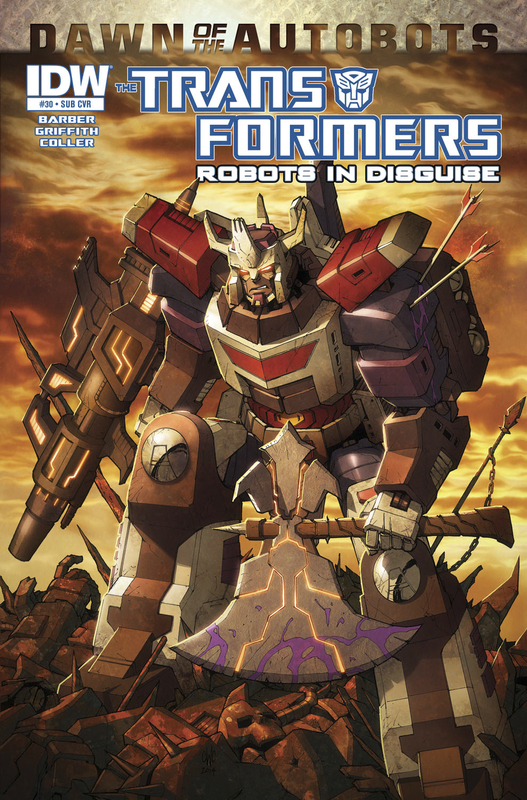 The historic roots of The Transformers are re-presented for maximum Cybertronian enjoyment. 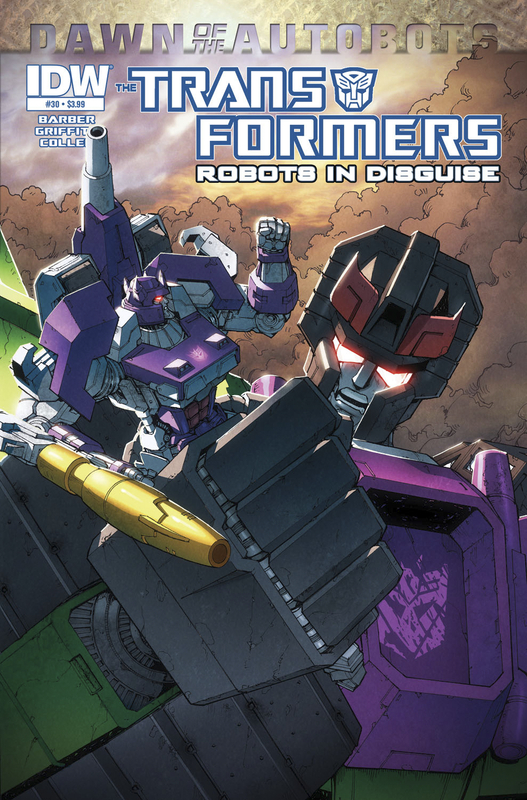 Collects issues #77-80, the Headmasters four-issue series, and the three-issue Movie Adaptation. Freshly re-mastered and re-colored, these stories are accompanied by an in-depth introduction as well as select issue notes by Mark W. Bellomo. The conclusion to the 12-part epic DARK CYBERTRON! OPTIMUS PRIME and MEGATRON join forces against SHOCKWAVE! Titans clash and the ultimate battle will leave the planet changed forever. EVACUATION! Is it possible for a starship to object to its captain? That’s what the AUTOBOTS are asking MEGATRON as the Lost Light becomes the most dangerous place in the universe! GALVATRON THE BARBARIAN! From Cybertron’s ancient past came the warrior-king, GALVATRON. Once, he united CYBERTRON and ushered in a Golden Age. Now, he wants to do the same to Earth… but OPTIMUS PRIME has a problem with that plan. ALL HAIL DRIFT! From his debut, the former DECEPTICON called DRIFT has been one of the most controversial-and popular-TRANSFORMERS characters! Now relive his first solo adventure with an outstanding array of behind-the-scenes material! 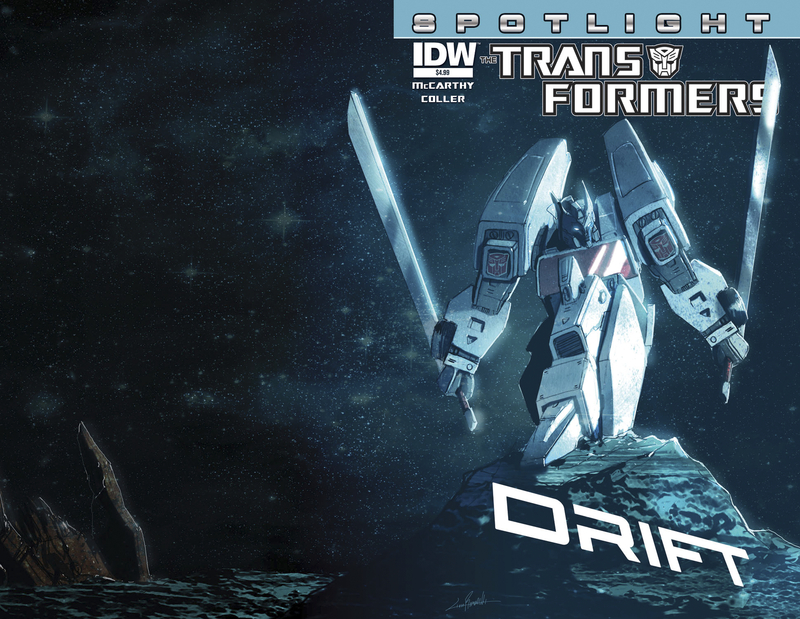 Learn how DRIFT went from a supporting character in a comic book to a toy-and how he became a part of the TRANSFORMERS mythology! THE FATE OF CYBERTRON! 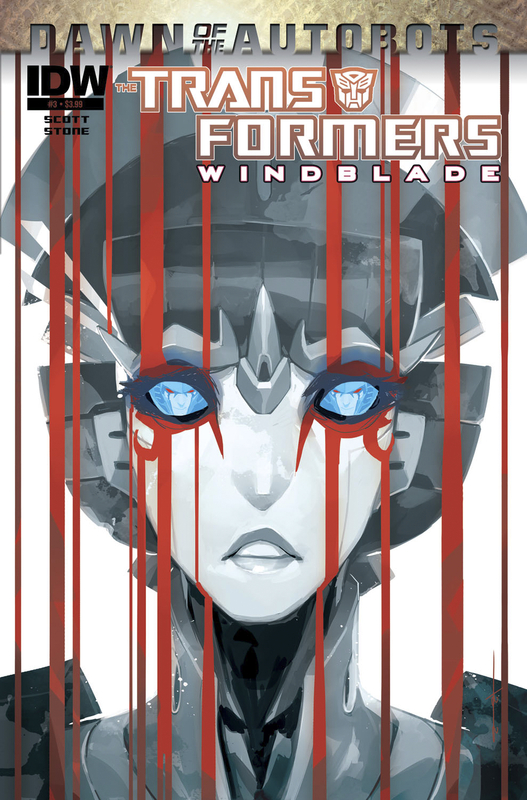 WINDBLADE learns more about the new face of CYBERTRON-and lesson number one is: never underestimate STARSCREAM! 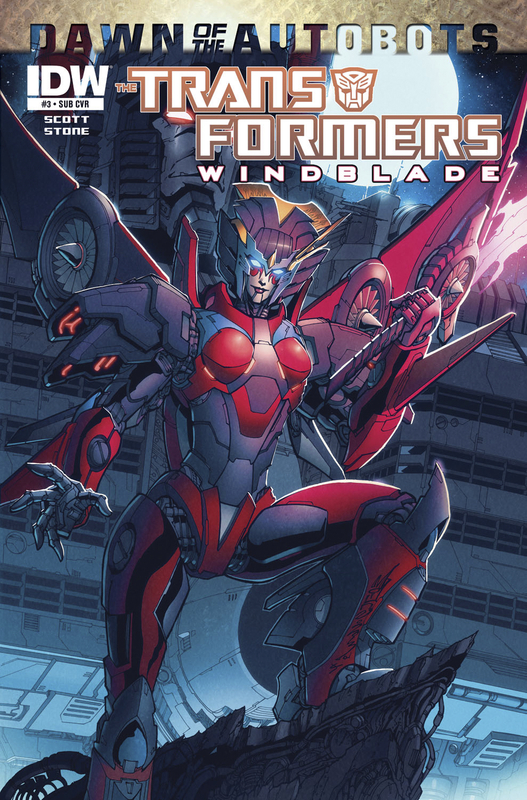 She’s trapped in a no-win situation-but what is the scheming DECEPTICON really after, and how far will he go to keep WINDBLADE out of his way? For subscription customers only, a special variant cover by Alex Milne!